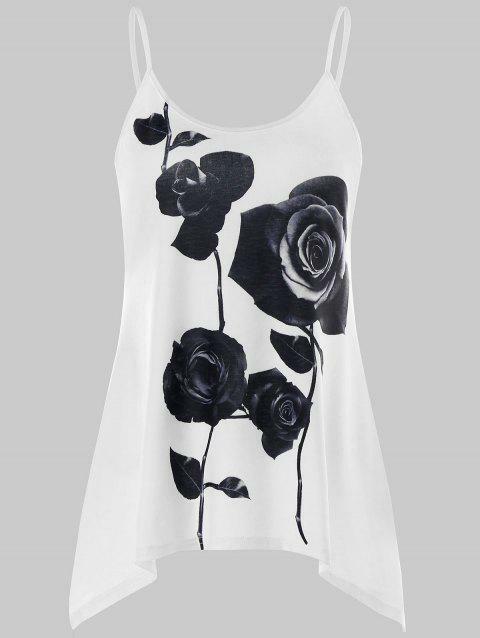 Delicate rose print patterned this supersoft cotton-modal tank and styled with a dramatic asymmetrical hem. Effortless trapeze silhouette with spaghetti straps which can show your perfect shoulders and skin. Team it with some denim shorts for a simple but chic look. I’m very happy with this shirt. The material is a little thin making it a bit see through. Very cute and light weight ! Can’t wait to wear it this summer !